There’s no denying that technology has fundamentally changed how consumers and companies interact. Those over the age of 30 remember marketing before blogs, social media, YouTube, and the internet. It’s not just the tools that have changed – it’s a completely different game. As marketers, we can either see the opportunity and seize it, or get left behind as our competitors surge ahead. That’s why we started Sideqik. We saw the growth of the influence economy and saw brands trying to take action when their traditional marketing became less effective. Consumers are disengaged from traditional marketing. They are looking for new ways to consume information. Brands see consumers using social media to share their experiences and thoughts with each other. 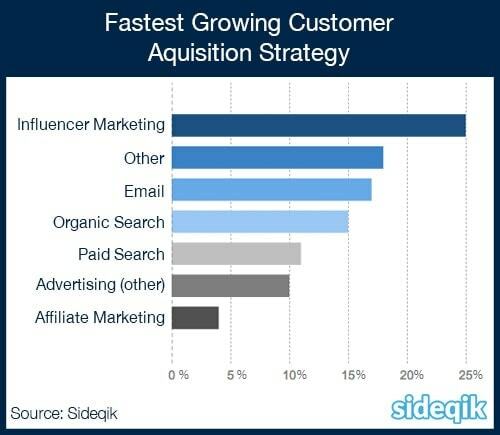 Influencer marketing has always been part of the overall marketing mix for many marketers. Think about how important word-of-mouth has always been in business. With the shift in consumer decision making and more than 50% of consumer purchases being driven by word-of-mouth (McKinsey), influencer marketing has gone from a small part of the marketing mix to arguably the most impactful. The average American is exposed to 5,000 advertisements per day, according to research firm Yankelovich Inc. I could debate whether that’s the actual number, but the point is: we are all exposed to A LOT of ads. We see so many ads that we’re unconsciously tuning them out– also known in the industry as “banner blindness”. 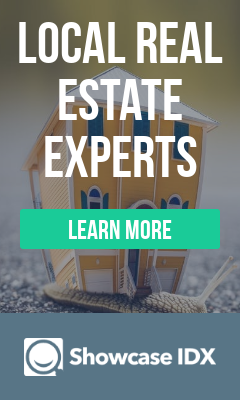 Research from Infolinks found that only 14% of people could remember the last ad they saw and identify what it was promoting. The ad industry realized this and came up with new, more personalized and distracting ads. Too many ads are driving consumers away. According to the University of Oxford, 47% of online consumers now use at least one ad blocker. It’s no surprise that people love products like AdBlock, Netflix, and Spotify Premium that remove traditional ads from an ad-saturated media experience. The massive shift away from ads has decimated marketing for many companies. “While advertisers have started to follow consumers online, about a third of online advertising campaigns don’t work—they don’t generate awareness or drive any lift in purchase intent,” said Randall Beard, President, Nielsen Expanded Verticals. What is influencer marketing? Influencer Marketing is a type of marketing that focuses on key individuals or types of individuals to drive your brand’s messages to your target market. It identifies those individuals that have influence over potential customers and encourages them to become more active with the brands they already like. As ads are increasingly blocked and ignored, many brands have turned to marketing automation and content marketing. These are required for Search Engine Optimization and build social awareness for brands. While this has helped brands stay afloat, it’s also increased the noise pollution directed towards consumers. The fastest growing companies and top agencies are embracing influencer marketing. Why? Because they know that the best way to reach a potential customer is through someone that they already have a relationship with. What started as a small part of the marketing mix, has become a large focus for growing brands. In contrast to traditional advertising, that interrupts the consumer experience, influencer marketing places brands and products within organic content. Good marketers know that creating a delightful experience for consumers will lead to improved marketing ROI for brands. Influencer marketing reaches potential customers where they are and from a voice they trust. It puts them in control. That’s a little scary for some executives. How do you trust brand ambassadors, influencers, the retailers that sell your products, athletes/players you work with, and other types of influential marketing partners to promote your brand? The fact is, they’re already in control. The new mass media is fueled by user-generated content, posts on Instagram, tweets, etc. People are talking about your brand already. That’s one of the reasons why so many marketers felt the need to allocate part of their budget to listening tools – they had to find a way to engage with people who were talking about them online. Brands should pay attention to what people are saying about them, but most of these programs are reactionary. Influencer marketing lets them build stronger relationships with new and existing influencers, proactively join the conversation, and encourage what is shared. Major brands know the power of identifying their most enthusiastic customers and making it easier for them to promote the brand. This is why some of the fastest growing brands spent over $336 million on influencer campaigns in 2015 (source: Technorati Media). Consumers crave good content and an authentic experience from brands. Whatever the reason for sharing, the fact is that your content has to be “share-worthy”. It has to be good enough to spark a conversation. Your influencers are eager to help create and share captivating content that will drive your word-of-mouth marketing. Brands are able to reach previously untapped audiences when they engage with new influencers. Many brands have gone to agencies and paid to access top influencers or reach new bloggers. Why? Because they’ve had no ability to find the influencers within their current email lists, social following, and overall audience. That’s one of the things Sideqik helps with. Our technology lets brands identify and activate the influencers they already have relationships with. We typically see brands extend their reach by 50x – 300x what they normally would from email lists. 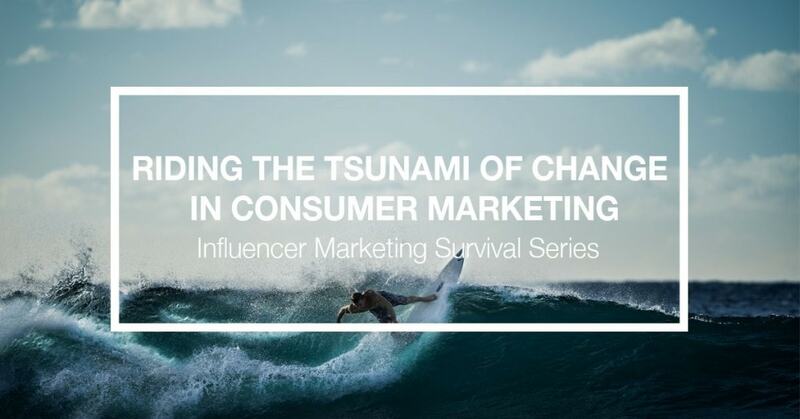 What started as a small wave of change has become a tsunami that’s changed the marketing landscape. While there is no going back, the future looks extremely bright for marketers. It’s a new way of marketing. Welcome to the influence economy. Note: This article was originally published by Sideqik on Sideqik.com after I wrote it. Need a real influencer marketing program, check out their data-driven platform.